A specialist Sunderland food business is celebrating the taste of success after taking advantage of a free training programme designed to upskill SMEs. 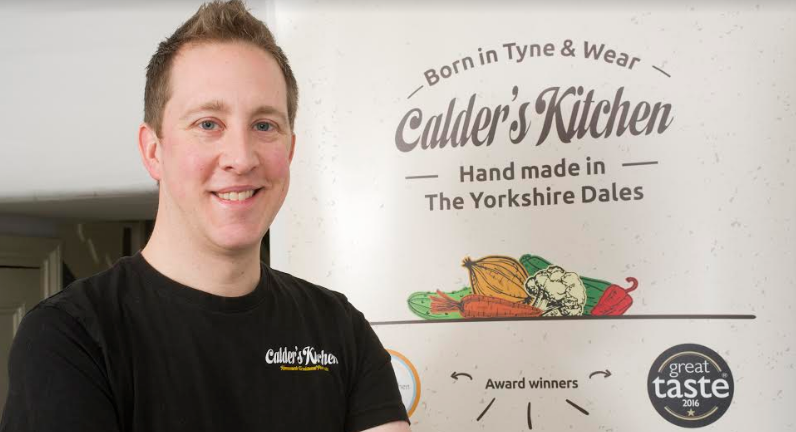 Calder’s Kitchen, based in the heart of Sunderland City Centre has seen an estimated 10% increase in business after taking part in a ‘Boost Your Business’ course delivered through regional skills and enterprise programme, Go>Grow. The ‘Boost Your Business’ course, delivered by several agencies, collectively known as the North East Enterprise Agency is being rolled out to SMEs across the region as part of a £1m package of business improvement support. 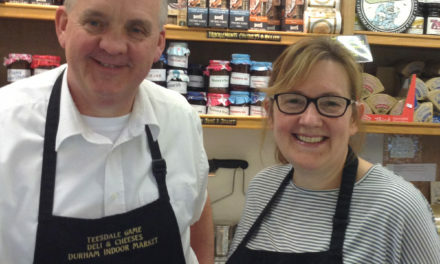 Calder’s Kitchen, owned by entrepreneurs Andrew and Anne-Marie Calder, is renowned for producing a modern version of the classic British condiment piccalilli – the English interpretation of Indian pickles, containing chopped vegetables, mustard and spices. Using a recipe from Andrew’s grandfather, The Calder’s produced two new flavours – Chillililli, which is medium-spiced and Sillylilli, which is incredibly spicy. The gourmet couple took advantage of the course to learn how to develop their business further, increase growth and gain new digital marketing skills. Andrew Calder said that the course was ‘invaluable’ and ‘hugely beneficial’ to his business, and added: “The course was really intense, but I took so much away from it and learnt a lot. When I got home after completing the course, I put my new-found skills to the test and used four new social media resources. The Sunderland-based business was awarded a ‘Great Taste’ award in 2016 by the Guild of Fine Food, which recognises excellent food standards, as well as a ‘Small Business Sunday’ award, backed by multi-millionaire and former Dragon’s Den star Theo Paphitis. The three-day ‘Boost Your Business’ course has helped hundreds of North East based SMEs since April 2017, with plans to roll out further free training for dozens more of North East businesses this year. Designed to equip individuals and businesses with marketing, sales and business improvement skills, the course covers a breath of topics, including understanding social media, using digital media for business and producing digital content for business. 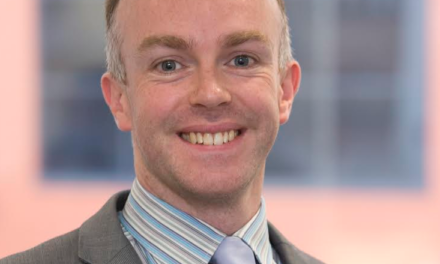 Adam Clemerson, skills project manager for North East Enterprise Agency, said: “Several like-minded agencies came together to form a consortium, all with the same idea of helping small North East businesses upskill, boost productivity and improve performance. “The initiative means that we are able to offer the training in various locations across the region, which gives all eligible businesses a chance to participate. “We want as many businesses as possible to take up this opportunity of free training, as well as gaining a wider understanding of business enterprise. Ivan Jepson, director of business development at Gateshead College said: “It is fantastic to see the positive impact that the training is having on businesses like Calder’s Kitchen. 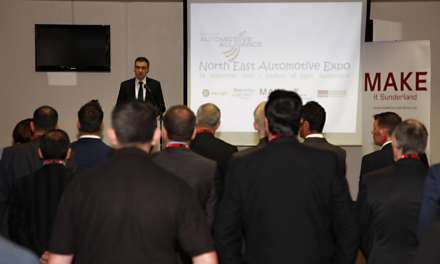 Go>Grow has the backing of the North East Local Enterprise Partnership and the North East of England Chamber of Commerce. Experts in the Go>Grow team will work to develop training that meets individual needs of businesses, or offer those who wouldn’t ordinarily undertake training programmes, the opportunity to access bespoke packages specific to their needs. A tailor-made programme is then developed and delivered at any of the Go > Grow training provider sites, or within the premises of the individual businesses.